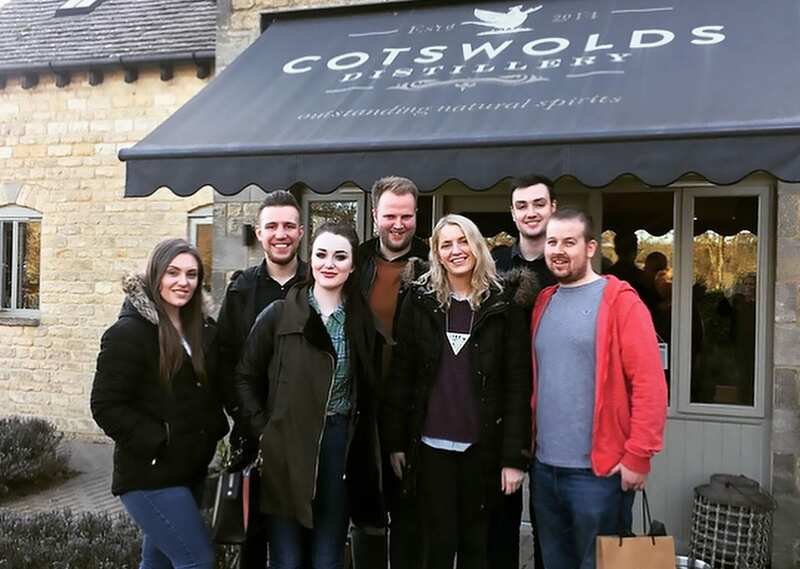 Travelling to the beautiful Cotswolds countryside, the team paid a visit to the Cotswolds Distillery, ready to sample and select items for the menu. First opening its doors in 2014, the distillery has since welcomed visitors to come and try their spirits, gins and whiskies. Cotswolds’ whiskey is at the heart of the distillery and the team didn’t take much convincing before deciding it was a winner. Rich and fruity, with notes of honey and butterscotch, the single malt whiskey is made using local 100% floor-malted barley. Next, onto the gin. Cotswolds’ Dry Gin is distilled with nine botanicals, giving it an aromatic twist. 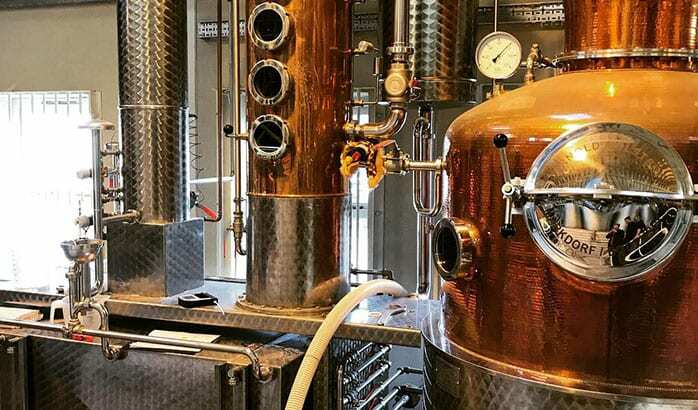 Juniper, coriander seed, angelica root, local lavender, bay leaf, hand-peeled fresh lime and pink grapefruit zest, cardamom and black peppercorn, are all distilled in a copper pot, resulting in a rich and robust, award-winning gin. There’s also Cotswolds’ Hedgerow Gin (rich, fruity and full-bodied) and the warming Baharat Exotic Gin (aromatic cardamom and a hint of cumin), both of which went down well. The team were all impressed with the wide variety of fantastic local produce available, along with the time, effort and care that went into distilling by the team. 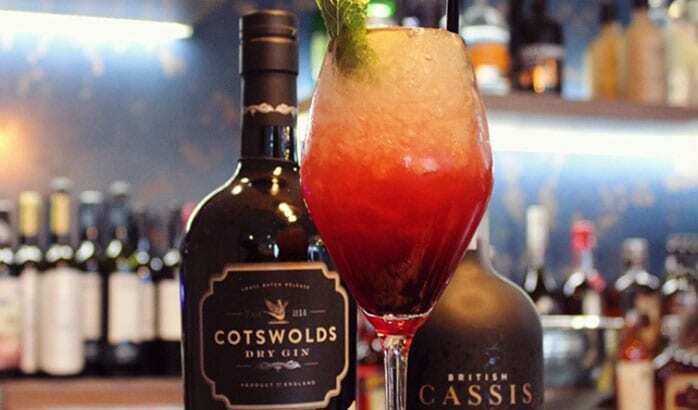 Keep a look out for Cotswold Distillery produce on our drinks menu very soon, especially the team’s favourite cocktail, the British Bramble. Made using Cotswolds gin, White Heron Cassis, lime and mint, British Bramble is sure to be popular. If you’d like to be one of the first to sample our tasting menus or carefully sourced drinks, why not book a table at Larder?